Meeting minutes exist to ensure there’s a record of what was discussed, why decisions were made, and to ensure your entire team’s communication is collectively up-to-date. A company’s upward progression relies heavily on crisp communication and the gathering of essential information that will help your team reach specific milestones, ultimately leading to major wins. Which means, quality meeting minutes are essential to your team, and your companies, success. 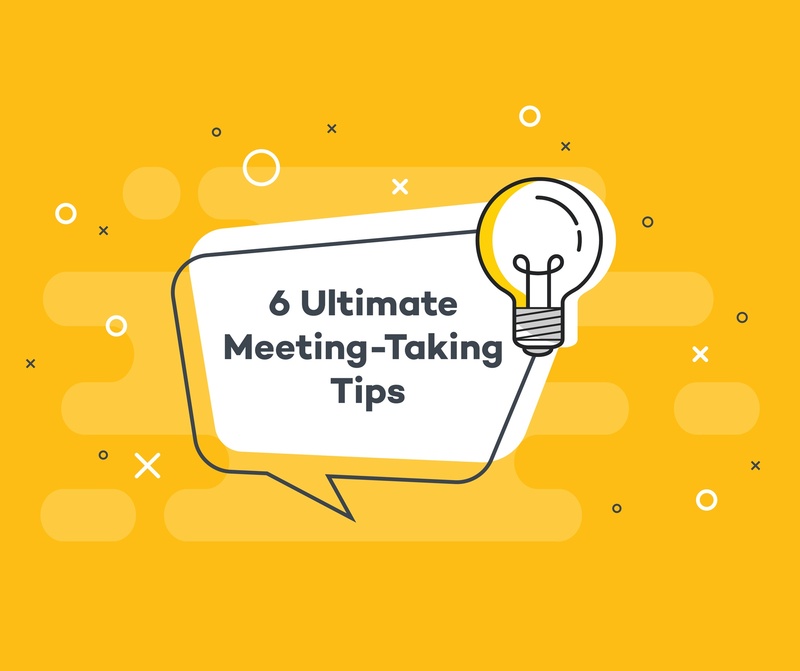 We’ve collected 6 minute taking tips to help you ensure you’re taking meeting notes in a way that won’t make your meetings feel like a waste of everyone’s time. Discussions can go back and forth, ideas get introduced, and arguments are sparked—that’s just the nature of meetings. Rather than commentating the entire play-by-play, let the discussion conclude before writing anything down. The only thing that matters is what was decided by the group; everything that happens leading up to the final decision is generally irrelevant. And if the idea of not writing down every last detail makes you squirm, think about the last time you diligently combed through an entire meeting transcript to look for few pieces of information...probably never. Time is a precious commodity to you, your team mates, and your company, so let’s save everyone’s time by writing more concise meeting notes. Most meeting rooms have some sort of TV, monitor, or projection system hooked up for presentation purposes. Pro tip: those TVs and projectors aren’t just for formal presentations. If the meeting minute taker hooks up their computer through an HDMI cable (or some other means) and shares their computer screen, the entire meeting room can view the live meeting transcription in progress. Which means everybody is responsible for the meeting minutes by proxy, not just the notetaker. Spend a few minutes at the end of the meeting to review the minutes as a team to ensure nothing is missed. This removes a lot of pressure off one person, and as an added bonus, provides a neat wrapped-up overview of what was discussed and how everyone will move forward. In order to end up with good minutes, your meetings have to be productive. When you take meeting minutes for your team, you, unlike most, are highly aware of the agenda items and what needs to be discussed. Meaning, the notetaker is in a prime position to ensure the meeting discussion stays on track. So, why not establish the meeting note taker to also act as a meeting moderator? If the discussion goes off topic, the minute taker can correct the course. When a person was interrupted during an important point, the minute taker can bring the conversation back to the original speaker. Most importantly, call people out if they’re wasting meeting time! If people are leading a meeting off the rails, it’s time to gently slap those wrists and bring the focus back. When your meetings are to the point, your minutes will reflect that. 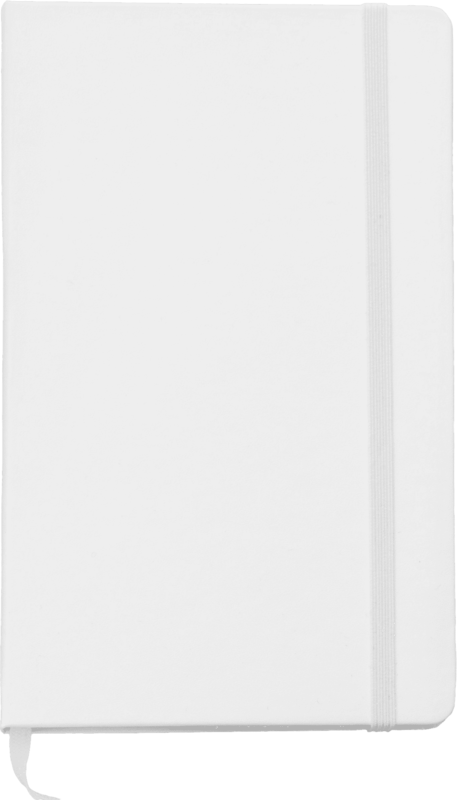 If your minutes look sparse, they normally reflect how well the meeting went. If you are concerned about keeping up in a fast-paced meeting, capture your meetings with the help of technology—don’t stick to outdated methods. Use note writing apps that save and sync your meeting minutes in the cloud, so you can access your minutes across all your devices. Zoho – Whether you’re taking notes on your smartphone or computer, you can access your meeting minutes on-the-go, or during your downtime. Evernote – Helps you capture your meeting minutes, ideas, projects, and action item lists wherever you go. OneNote – for Microsoft users, OneNote allows you to access your meeting minutes anywhere you log into your Office account. You can also allow multiple people to add to the meeting minutes simultaneously. Google Keep – Similar to OneNote, Google Keep allows companies with Google accounts to write, edit, and share meeting minutes between the team and across the organization. Hendrix.ai - If you want to be hands off with your meeting transcription, consider inviting an AI meeting assistant who will record your meetings, automatically transcribe every utterance, summarize each meeting, and organize everything in one place. With an AI meeting assistant, your meeting summaries can be distributed to each meeting attendee and are stored alongside a fully editable transcript right in your own personal dashboard. There, you can search for and access archived meetings, and review insights to understand your meeting efficiency. Technology is here to assist you, not hinder you! Remember: meetings are supposed to be open group conversations. If you’re taking meeting notes and you need clarification – just ask! It’s far better to ask questions while you’re in the meeting than disturb your coworkers afterwards. If you ever find a person who likes writing meeting minutes, hold onto them as long as humanly possible! Meeting minutes are a necessary evil, but not many people actually enjoy writing them. There doesn’t have to be one single person writing meeting minutes during every single meeting. Share the minute-taking burden throughout your team by alternating meeting minute takers. In order to do that successfully, your team has to establish a clear writing structure. Everybody writes meeting minutes in their own unique style, so establish a consistent template of what each meeting minute summary will look like. Setting the ground rules and layout of your minutes will guarantee consistent content every time. Pro tip: the person who complains most about writing meeting minutes should have to do it ;). Tip #1 – rather than commentating the entire play-by-play, let the discussion conclude before writing anything down. Tip #2 – sharing your screen on a monitor or projector so the entire meeting room can view the live meeting transcription in progress. Tip #3 – the meeting notetaker is in a prime position to moderate the meeting discussion and ensure the meeting stays on track. Tip #4 – Don’t use outdated meeting minute methods, leverage technology to help you capture better meeting minutes. Tip #5 – If you need clarification on something during the meeting, don’t be shy to ask! Tip #6 – Share the meeting minute taking burden across your team; there doesn’t have to be one designated meeting minute taker. Try these minute taking tips and see how much your meetings will improve overtime.